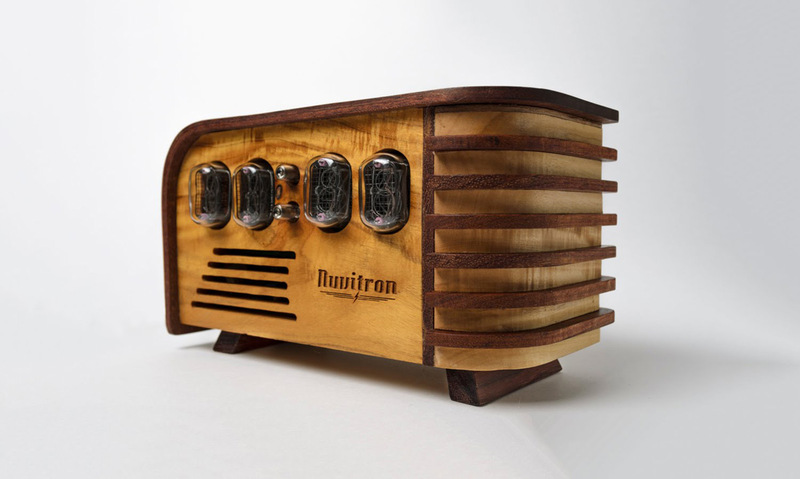 Vintage Nixie Tube Clock by Nuvitron is a decorative and very cool clock made using vintage components. There’s a lot of cool geek stuff out there but the Nixie tube clock is one the coolest. Some people call it a big boy’s toy but it’s also a functional modern desk clock. This Vintage Nixie Clock is handcrafted using new old stock tubes. These Nixie tubes are at least 30 years old, have never been used before, and come from Ukraine. 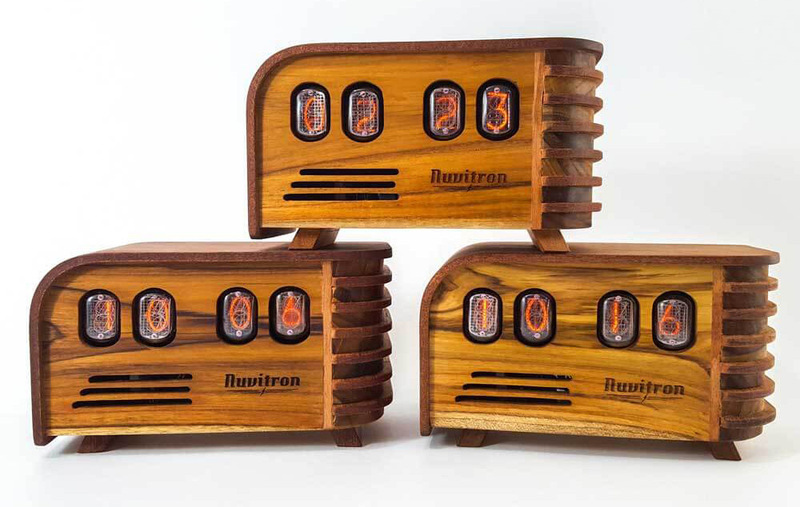 Because Nixie tubes are not longer in production quantities are very limited for this exclusive clock. Each clock will have an accompanying certificate of authenticity. Old school technology combined with an art deco style in a fine wooden enclosure. The soft and warm glow of the Nixie tubes makes it perfect to use it in your bedroom. It won’t disturb your sleep. 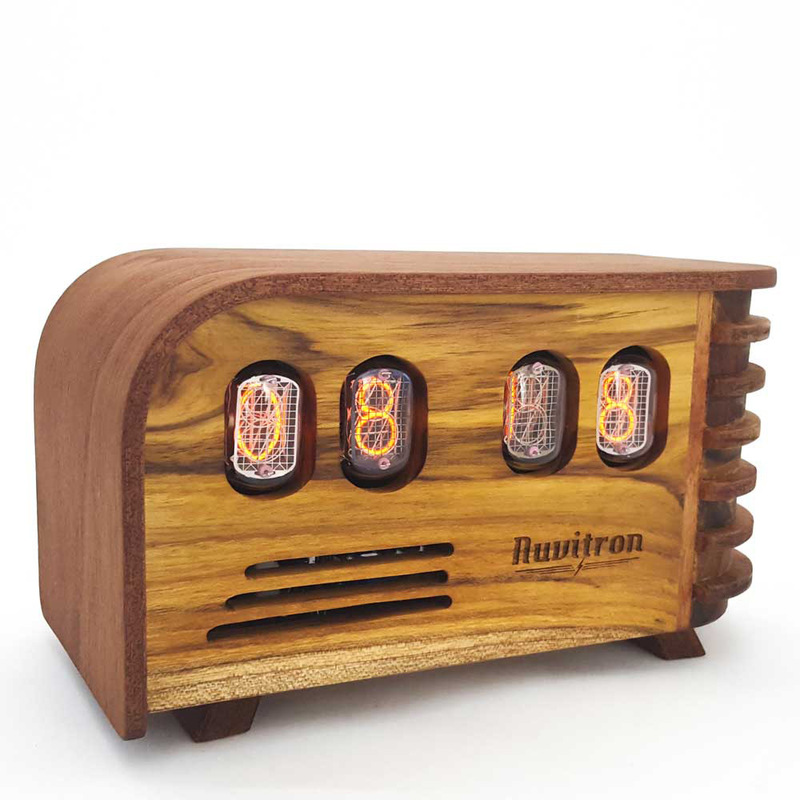 Nuvitron’s Vintage Nixie Clock is guaranteed to be free of material imperfections, and will replace any tubes that fail in the first two years after your purchase. Nixie tubes are known to last for decades, and these operate in a range far below their peak, this ensures you will enjoy them for a long time. Bring to your home a piece of history with The Vintage Nixie Clock and its Cold War era components.